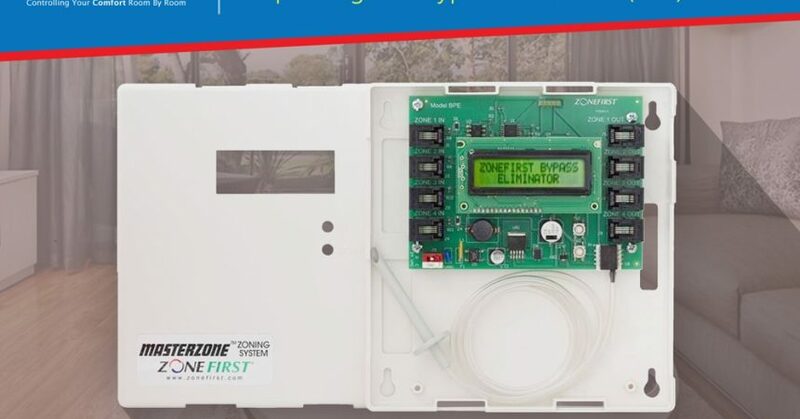 Often with zoning systems a By-Pass is needed to relieve excess air when only a small zone or number of small zones cannot deliver the required air flow thru the HVAC System. 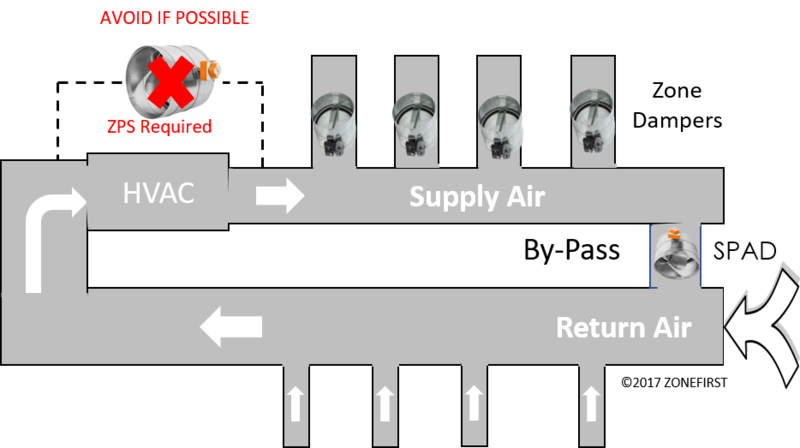 A by-pass is often ducted back into the return air or into non-critical, common conditioned temperature areas such as entry ways, hallways, basements, etc. 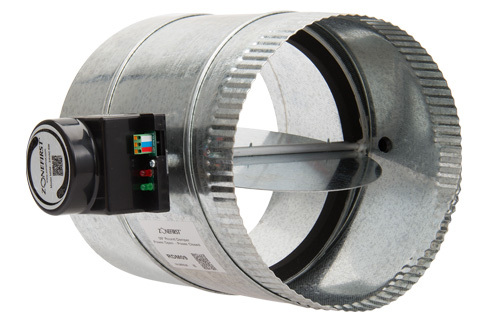 Select your Maximum Total System Cubic Feet per Minute (CFM), then enter the CFM of your Smallest Zone to calculate the type of By-Pass Damper you require. Note: If the By-Pass CFM amount is 30% or less of the Total System CFM, No By-Pass is required. The By-Pass Damper you are looking for is SPRD08. 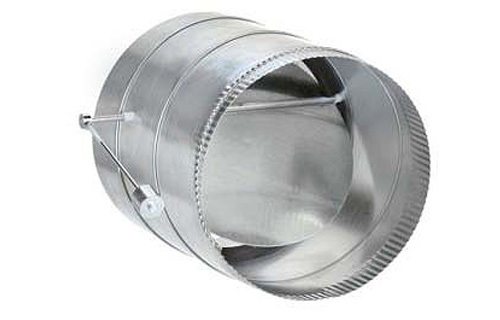 The By-Pass Damper you are looking for is SPRD09. The By-Pass Damper you are looking for is SPRD10. The By-Pass Damper you are looking for is SPRD12. The By-Pass Damper you are looking for is SPRD14. The By-Pass Damper you are looking for is SPRD16. The By-Pass Damper you are looking for is RDM18 w/SPC. The By-Pass Damper you are looking for is RDM20 w/SPC. 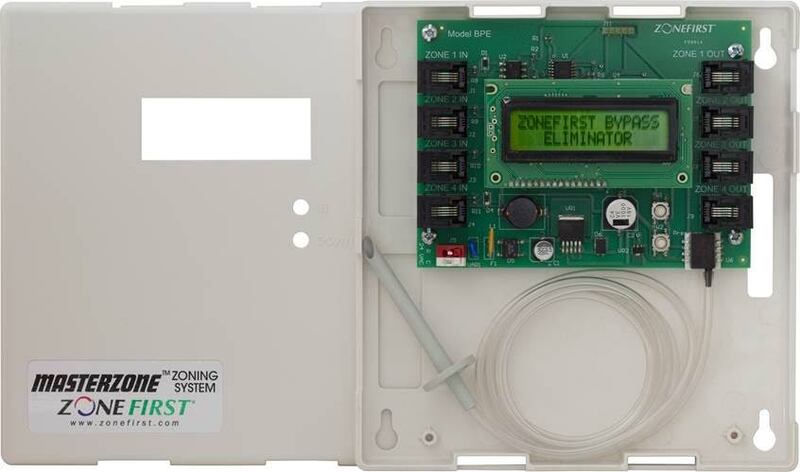 The By-Pass Damper you are looking for is ZDSM2020 w/SPC. 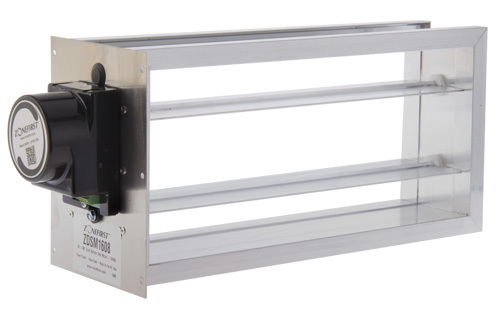 The By-Pass Damper you are looking for is ZDSM2420 w/SPC. The By-Pass Damper you are looking for is ZDSM3024 w/SPC. 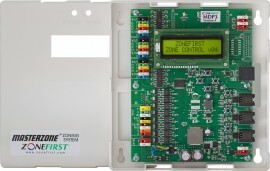 What is ZoneFirst’s Bypass Eliminator, also known as the BPE? 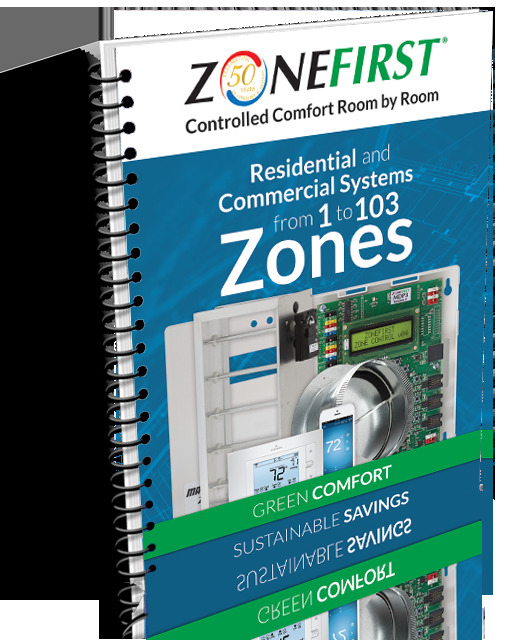 ZONEFIRST is the first company that successfully developed and marketed HVAC Zoning Systems back in the 1950's and is today a leading manufacturer of HVAC zone dampers and zoning systems. 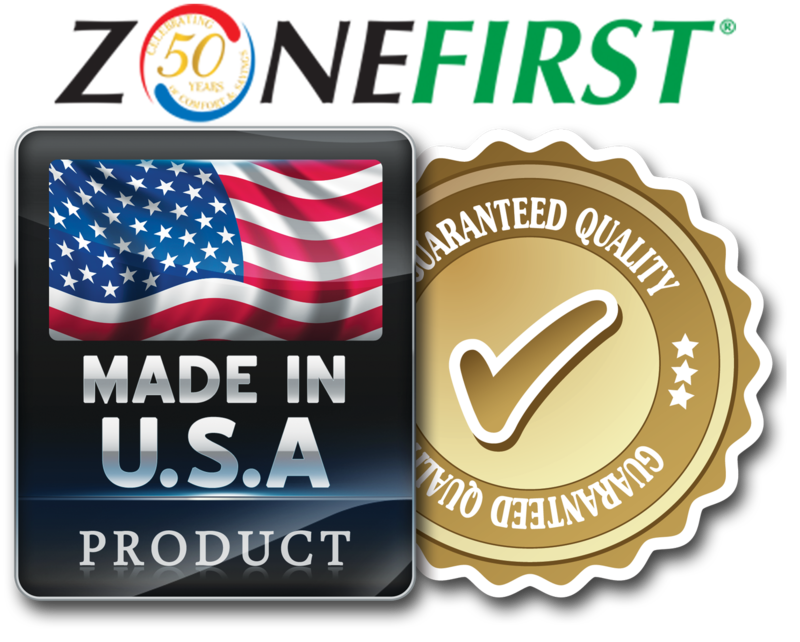 Several other major zoning companies are in business due to ZONEFIRST. The latest in flex duct and air diffusion.